Suzanne of One Girl Interiors always dreamed of owning a little cottage in the country. Now she does. 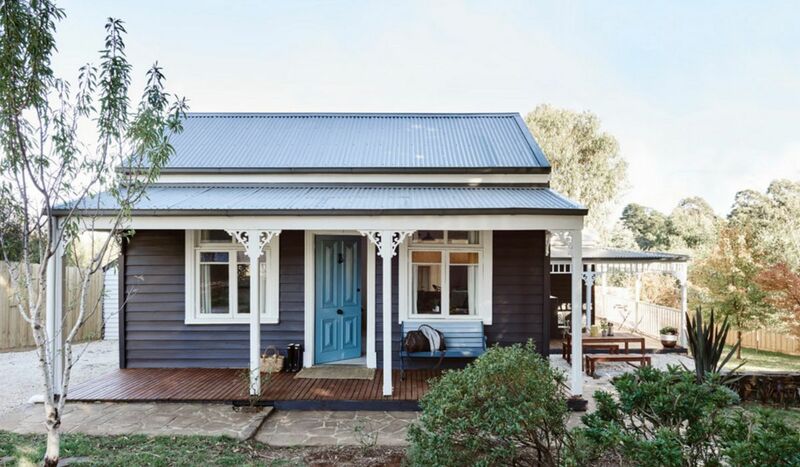 She and her husband purchased and renovated a Victorian cottage and named it The Weekender. 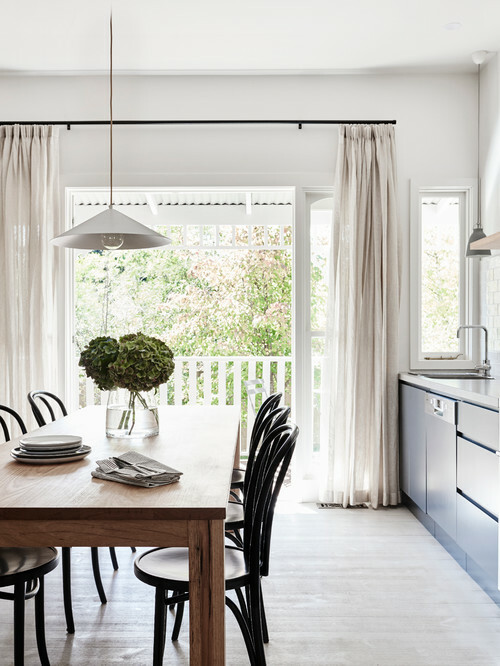 The house is located in Daylesford, a popular tourist town in Victoria, Australia. Suzanne calls the home her pride and joy and now offers it as a vacation rental. Inside you'll find a cozy getaway full of designer style. From the chic furniture to the colorful artwork and accessories, every detail was hand selected with love. Take a tour of the full house below! The living room bright and open with tall ceilings and white walls. The curtains are hung above the window frame to highlight the soaring ceilings. Low, sleek furniture allows the space to have a nice flow. 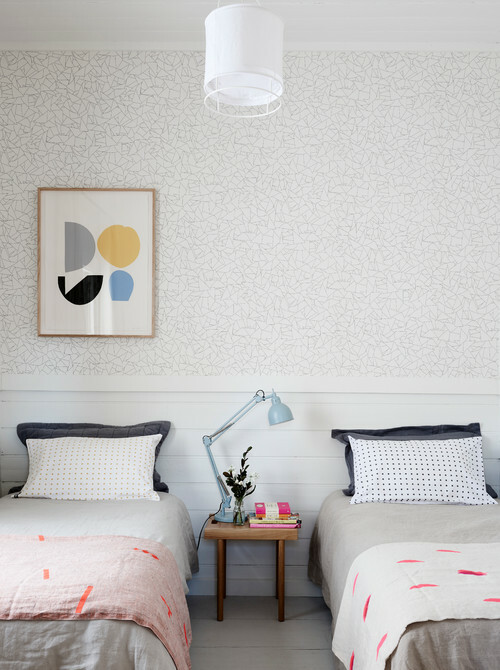 This bedroom features subtle patterned wallpaper and layers of cozy textiles. Colorful abstract artwork above one bed adds interest. The eat-in kitchen feels casual yet refined with a farmhouse table and black cafe chairs. 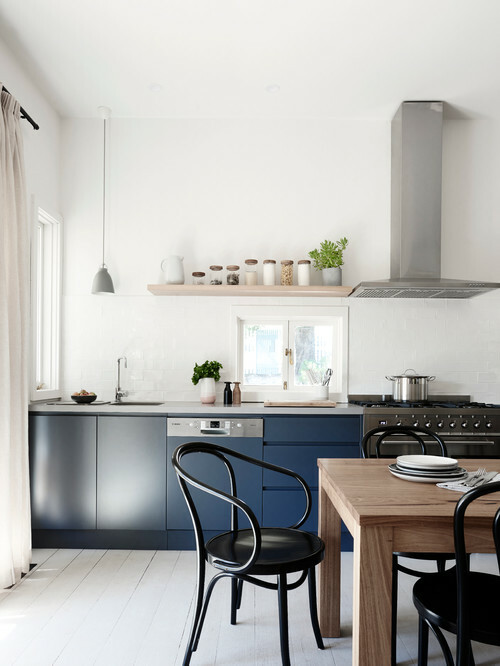 The navy blue cabinets are a fresh choice, while the simple open shelf helps the room to feel light and airy like the rest of the house. Plenty of bright windows and French doors let in cheerful light while also providing beautiful views of the surrounding countryside. The wood floors are painted white throughout the home. 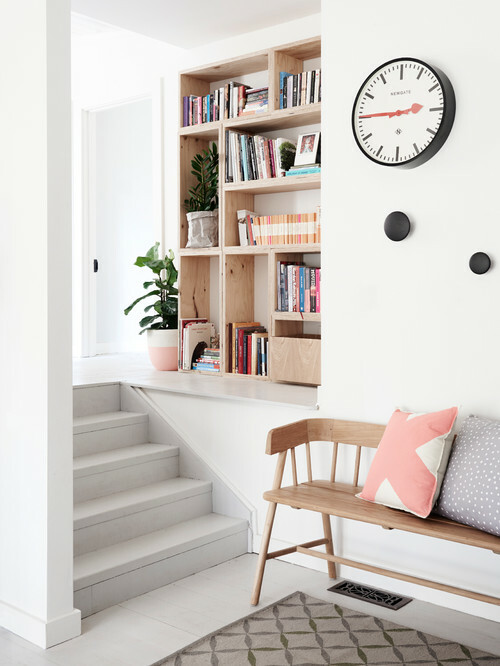 This little nook is mostly neutral but features fun pops of color in the accessories and books. Green potted plants add freshness and life to the space. 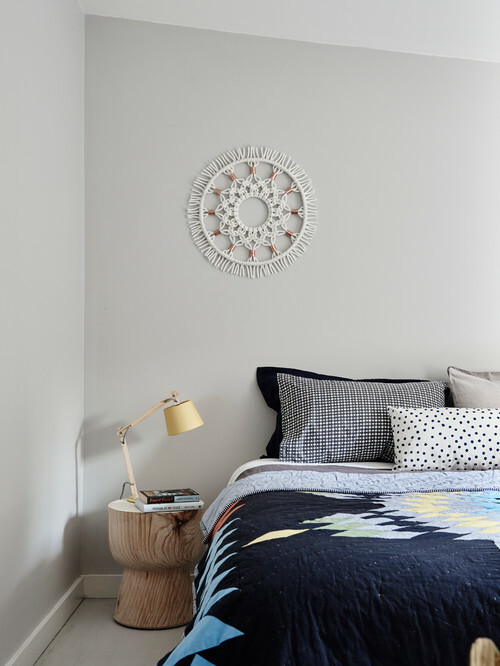 This bedroom feels restful thanks to soothing gray walls and simple decor. The layers of bedding add softness and color without overwhelming the space. 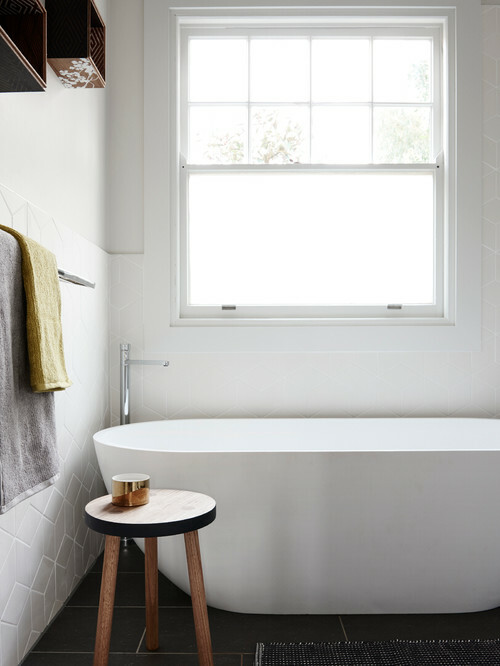 Another place to relax is the classic bathroom. A sleek freestanding tub is the focal point while geometric white wall tile pairs nicely with the dark floor tile. 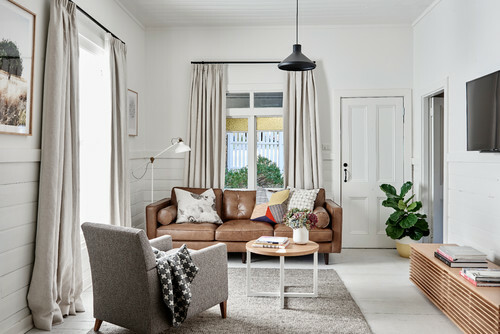 This cottage proves that choosing mostly neutral furnishings and finishes can lead to a classic style that's anything but boring. Just remember to brighten the space with colorful accessories and artwork. Share this tour on Instagram, Pinterest, or Facebook.